The Dow Jones Industrial Average today (Wednesday) cratered another 252 points as traders weighed geopolitical concerns around the world, which fueled a sell-off on the back of plunging oil prices. The S&P 500 Volatility Index – the markets' fear measurement – rose 6.7% on the day. Why did the Dow Jones Industrial Average face such a huge rout? The world is on fire. Chinese markets remain in turmoil despite an emergency injection of liquidity and further weakening of the yuan by its central bank, North Korea surprised the world by claiming it tested a hydrogen bomb overnight, collapsing relations between Saudi Arabia and Iran have driven oil prices to 11-year lows, and more volatility is rearing its head. Money Morning Capital Wave Strategist Shah Gilani explains why 2016 will be so volatile, right here. Stock Market Today: All 10 major S&P sectors were negative today, with energy stocks and materials stocks leading the downturn. Shares of Chesapeake Energy Corp. (NYSE: CHK), the nation's second-largest natural gas producer, cratered another 6.6% as commodity prices declined. The company's stock is now off 77% over the last 12 months as it continues to suffer under an immense amount of debt. 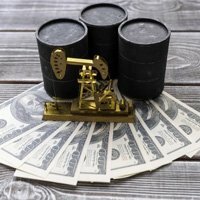 Oil Craters: Oil prices cratered to their lowest levels in more than 10 years on concerns about a global supply glut and stifled demand, despite rising geopolitical tensions across the Middle East. February's WTI prices fell 5.6% to settle at $33.97 – the lowest since February 2004. Meanwhile, Brent oil crude fell 6% to hit $34.23 – the lowest since June 2004. The sector's most active traders today were Exxon Mobil Corp. (NYSE: XOM) and Chevron Corp. (NYSE: CVX), which fell 0.8% and 3.9% on the day, respectively. Here's a recap of today's oil activity. Fed Focus: The U.S. Federal Reserve remains resilient about its decision to hike interest rates in December, and it appears the central bank is poised to continue with the tightening of monetary policy in 2016. Today, the Fed Vice Chair Stanley Fischer said the bank was considering additional moves in the near future and said four incremental rate hikes were "in the ballpark" of what he expects moving forward. So, when will the next rate hike happen? On Tap Tomorrow: On Thursday, pay attention to the weekly jobless claims report in the morning before speeches by Federal Reserve Bank Presidents Jeffrey Lacker (Richmond) and Charles Evans (Chicago). In addition, retail chain stores will report monthly sales volumes for the all-important month of December. Companies set to report quarterly earnings include Bed Bath & Beyond Inc. (Nasdaq: BBBY), Walgreens Boots Alliance Inc. (Nasdaq: WBA), Constellation Brands Inc. (NYSE: STZ), Finish Line Inc. (Nasdaq: FINL), KB Home (NYSE: KBH), and Ruby Tuesday Inc. (NYSE: RT). Stocks to Watch No. 1, CMG: Shares of Chipotle Mexican Grill Inc. (NYSE: CMG) continued their yearly decline, dropping another 4.8% after the company received a grand jury subpoena. The company is subject to a criminal investigation linked to a norovirus contamination at one of its locations. The company also announced it cut its future guidance and projects same-store sales to slump by 14.6% in the fourth quarter. Here's what to expect next for CMG stock. Stocks to Watch No. 2, NFLX: Shares of Netflix Inc. (Nasdaq: NFLX) surged more than 9% after the streaming giant announced plans to launch international operations in 130 countries. The company will operate in countries like India, Angola, and Uzbekistan. The firm also unveiled a new roster of original content set for production and release in the coming year. Stocks to Watch No. 3, AN: Shares of AutoNation Inc. (NYSE: AN) fell more than 10% after the company warned the U.S. auto sector may be cooling off. The company's CEO announced that December sales – which were okay by economist expectations – relied heavily on discounts, a sales strategy that cuts significantly into net profits. Stocks to Watch No. 4, YHOO: Shares of Yahoo! Inc. (Nasdaq: YHOO) were largely unshaken by news that activist Starboard Value is calling for a change of leadership in the technology giant. Activist manager Jimmy Smith sent a letter to CEO Marissa Mayer expressing disappointment in her tenure. The hedge fund has pushed Yahoo to sell off its Internet business, avoid a spin-off of Alibaba Group Holding Ltd. (NYSE: BABA) stock, and merge with AOL Inc. (NYSE: AOL) in order to boost shareholder value. Mayer's board has ignored all of the fund's suggestions.